The latest issue of HS is now up on the Project Muse site. It is a longer issue than normal, featuring two forums, five essays, and four interviews. Readers might be especially interested in our forum on Geoffrey Parker’s Global Crisis: War, Climate Change and Catastrophe in the Seventeenth Century (Yale University Press, 2013), one of the most important history books of the last year. As Don Yerxa puts it in the intro to the forum: "It has been widely heralded as an extraordinary scholarly achievement. Parker makes the case for a link between climate change and the worldwide catastrophe that occurred 350 years ago. We asked Parker to begin our forum with an account on the book’s long gestation. Then three prominent scholars, Kenneth Pomeranz, J.R. McNeill, and Jack Goldstone, comment on Global Crisis, followed by Parker’s rejoinder." This issue, as many of our readers know, also marks an important transition for HS. We are suspending publication for the remainder of 2014 as we forge a more sustainable operational framework. 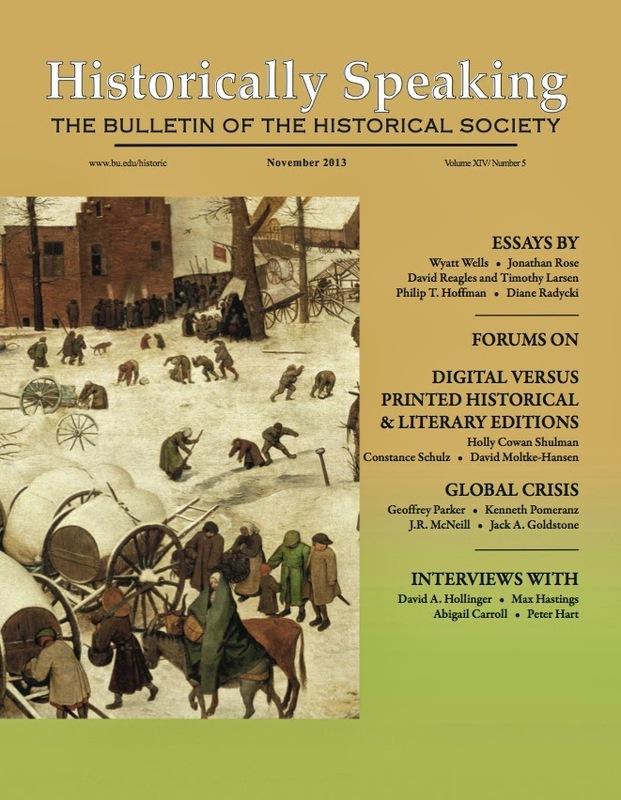 We are hopeful that some very promising developments will enable us to resume publishing a new and improved Historically Speaking in 2015. "Winston Churchill and the Literary History of Politics"
"Winston Churchill and Almighty God"
"Catastrophe 1914: An Interview with Max Hastings"
"Television Is Not Radio with Pictures"
"Pouring Old Editorial Wine into New Digital Bottles"
"The Changing Production and Consumption of Historical and Literary Texts: The View from the Simms Initiatives"
"The Invention of the American Meal: An Interview with Abigail Carroll"
"Global Crisis: A Forum The Genesis of Global Crisis"
"Maunder Minimum and Parker Maximum"
"A Combat History of the Great War: An Interview with Peter Hart"
"Jewish History and Education: A Review Essay"
"Töchter of Feminism: Germany and the Modern Woman Artist"
The land cast of the river Jordan that was to become the Hashemite Kingdom of Jordan in more modern times, Air Jordan Shoes,has been inhabited since the prehistoric period. Primitive axes, knives and scrapers made from materials such as basalt, chalcedony and flint that would have been fashioned and used by the Palaeolithic people who lived here around two million years ago have been discovered during a series of excavations. Archaeological evidence suggests communities continued to live here during the Mesolithic era, or Epipaleolithic Middle Stone Age, and through to the Neolithic period of around 10000-4300bc. The Neolithic period is said to have been a progressive time for the region. Farming was becoming more widespread, the use of clay to produce household receptacles was being pioneered and the introduction towards the end of the era and into the Chalcolithic (4300-3300bc), Bronze Ages (3200-1200bc) and Iron Age (1200-586bc) of metal tools, such as axes, hooks and arrowheads, was emerging. Communities that until now had lived a more nomadic existence began to settle and live in primitive villages. Ihey cultivated the land with cereals such as barley and wheat, chickpeas and legumes (lentils, beans and peas), Cheap Jordan Shoes,aided by the use of clay pots and tools. This new sustainable food source from the land - which complemented hunting animals for their meat, fishing and living off fruit, olive and nut trees - meant that the population of the region not only became healthier but increased in number. It was largely during this era that the people began to sec the merits of keeping goats and sheep too. Although there are believed to be few, if any, archaeological remains from the Palaeolithic and Mesolithic periods in Jordan today, other than in museums, you can see the remains of Neolithic homes, thoroughfares and areas probably used to market products at Ain Ghazal, located just northwest of central Amman. Discovered in 1974, the site is believed to have been a settlement hosting several thousand people between 7250bc and 5000bc. Covering an area of around 15ha, it is considered one of the largest known archaeological sites from the period in the world. jordan releases,,Artefacts discovered here include skulls, tools and plaster statues that have been dated to around 6000bc, which arc now housed in the Jordan Archaeological Museum in Amman. The statues, particularly, arc striking and friendly looking； standing about 90cm (3ft) tall, you are immediately drawn to their eyes, which are made from shells with detailing probably applied with a black tar-like substance, rather like bitumen.